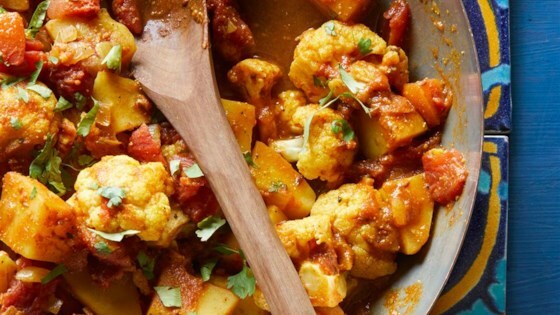 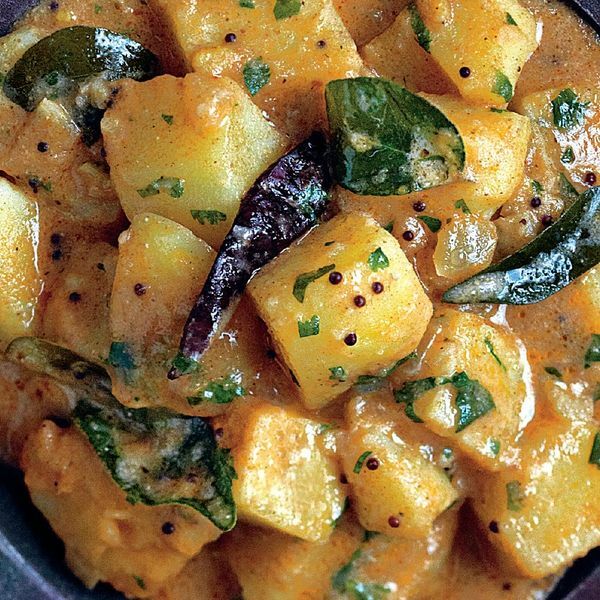 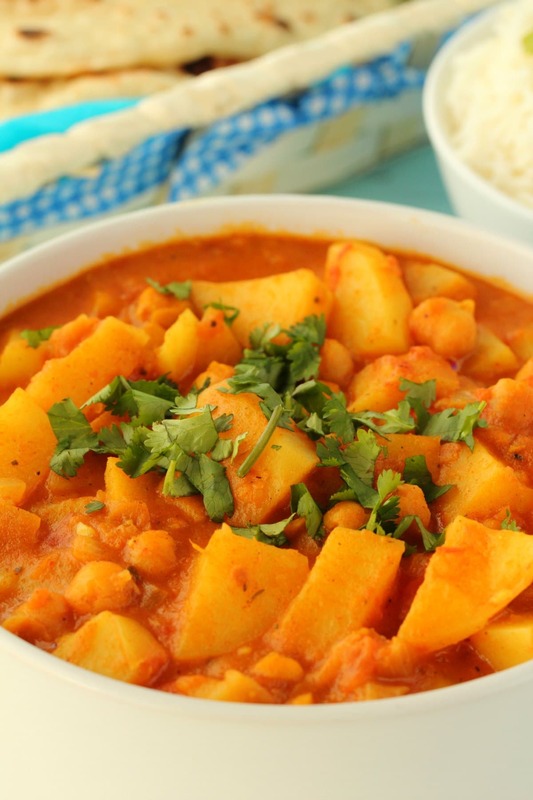 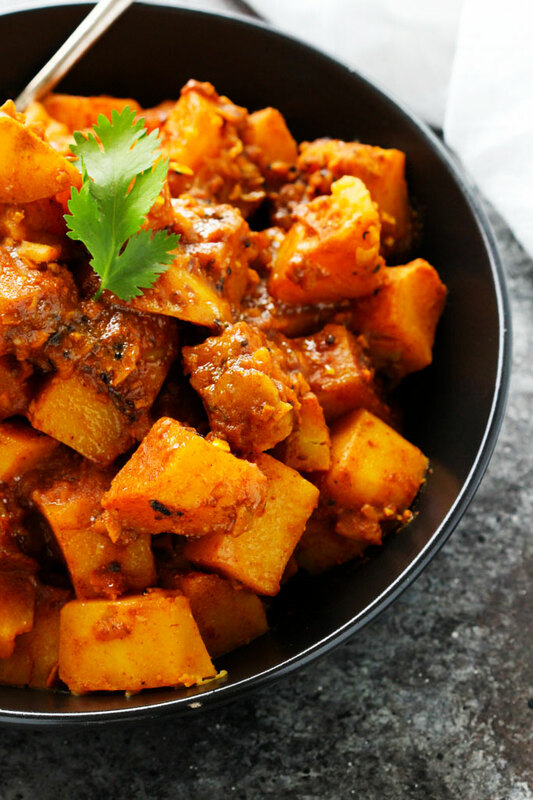 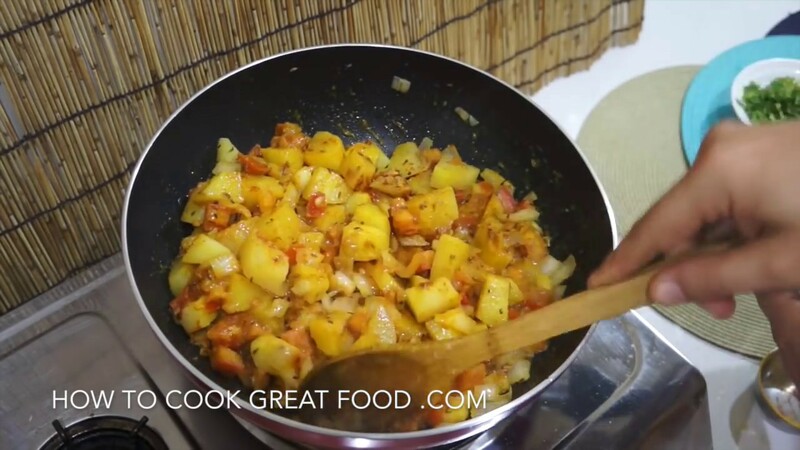 spicy potato curry - did not add the masala. 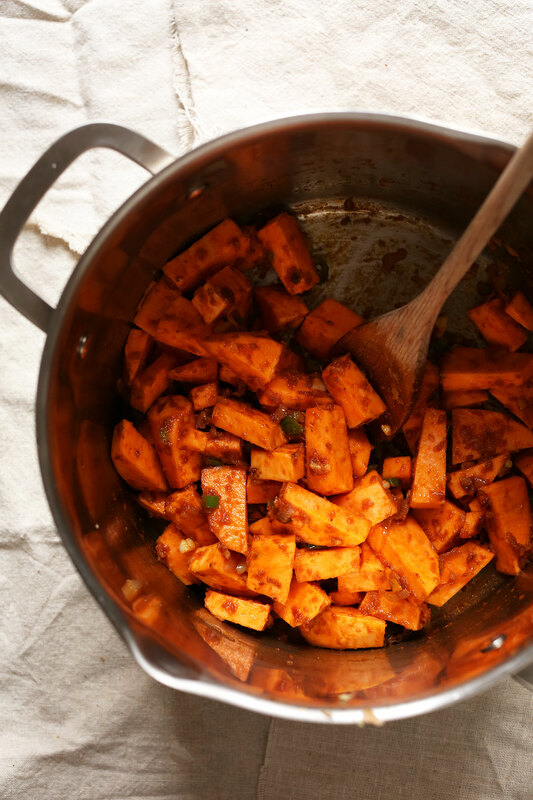 Will add the amount of cayenne stated in the recipe next time. 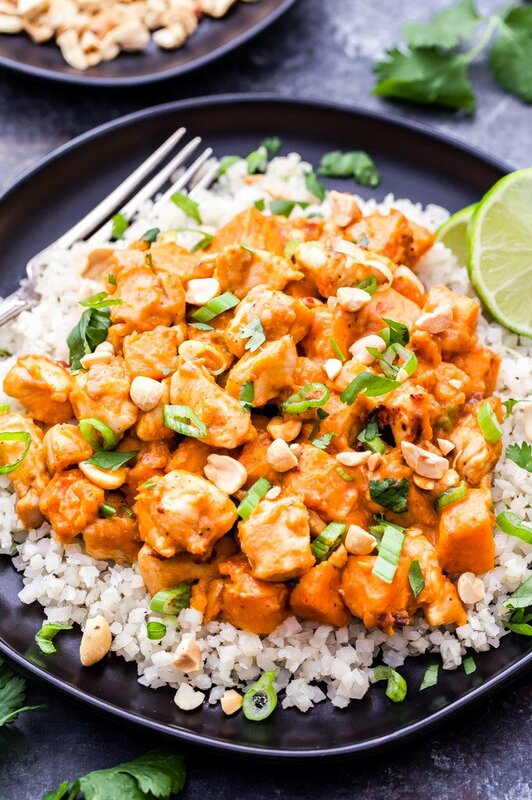 Overall super easy make it and very tasty! 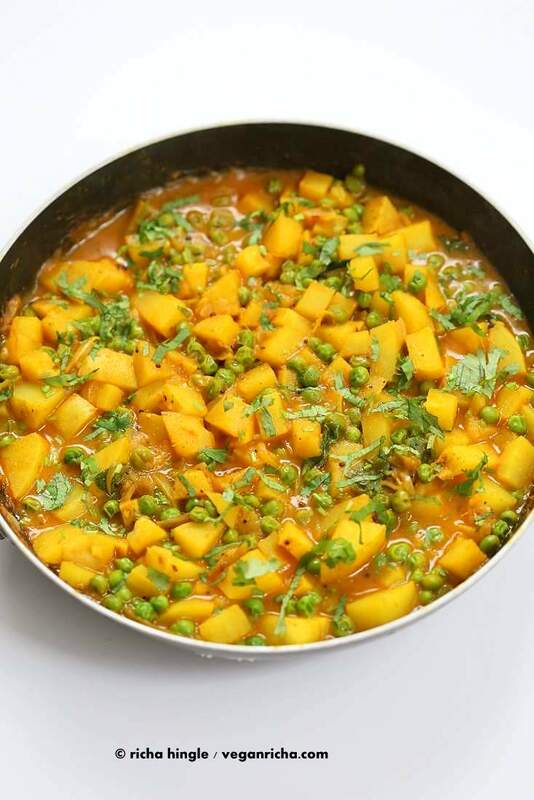 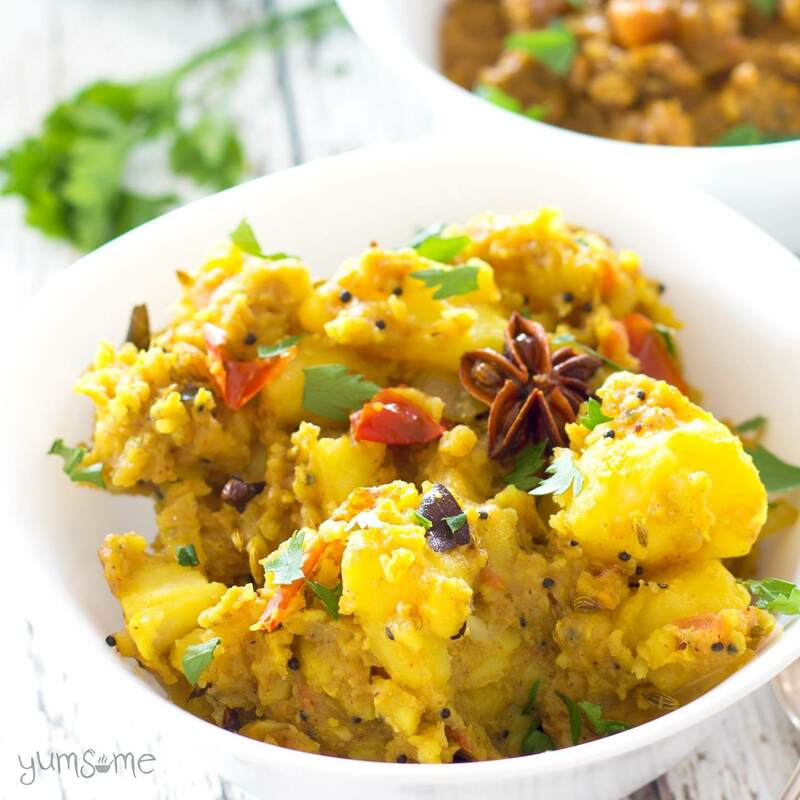 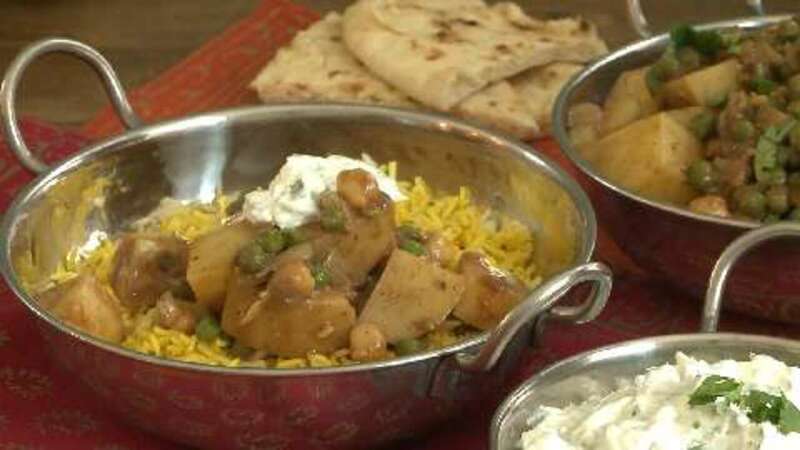 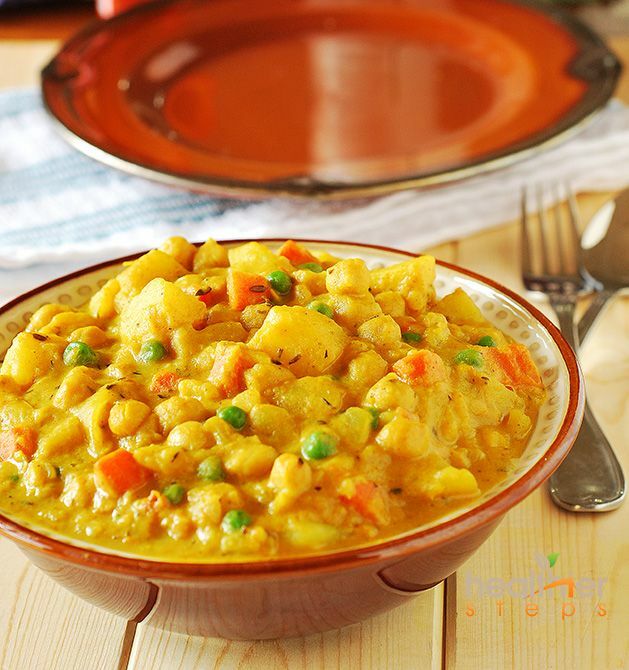 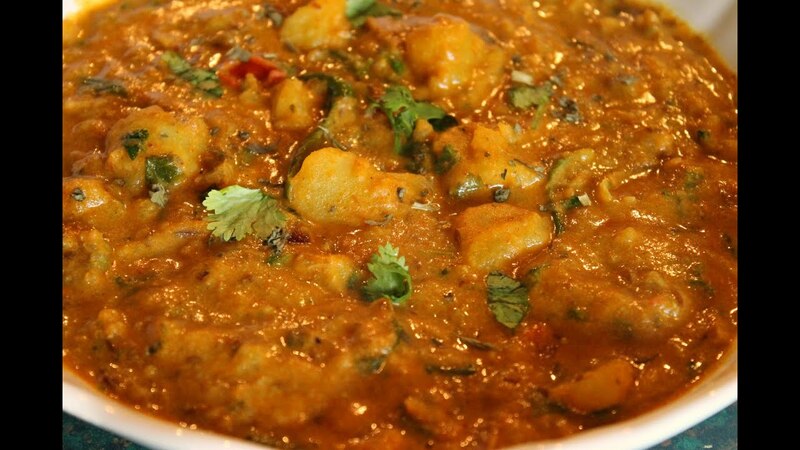 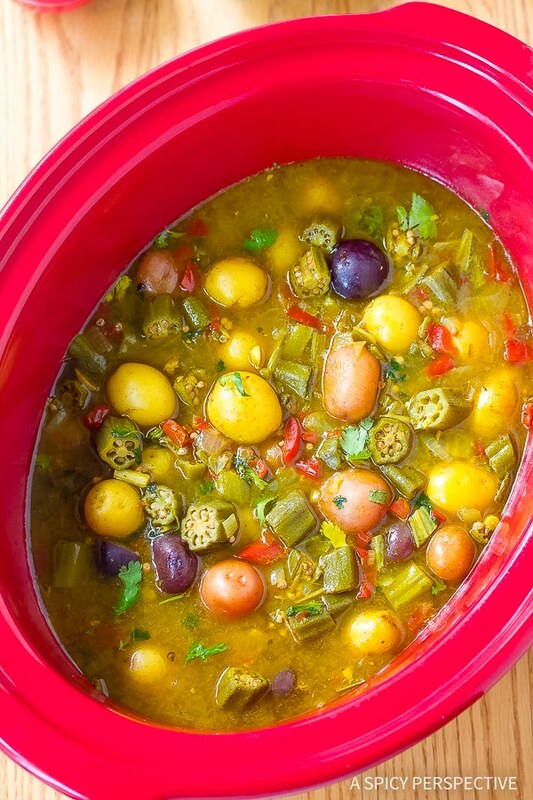 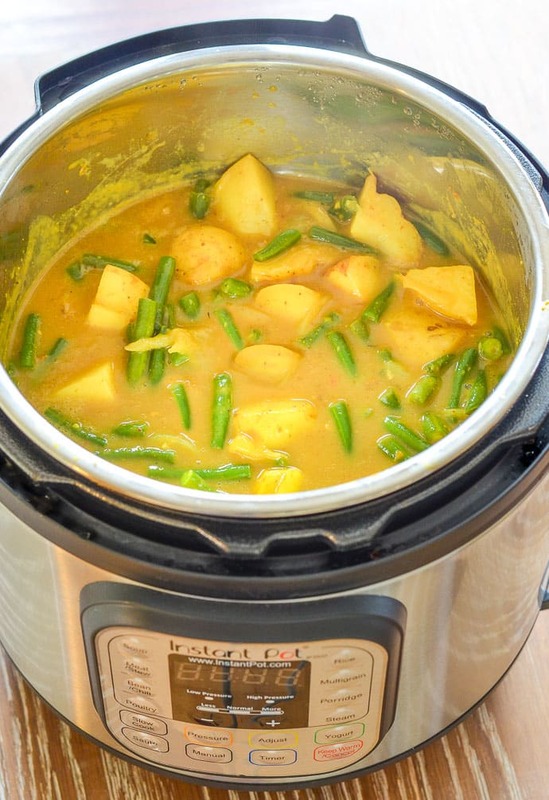 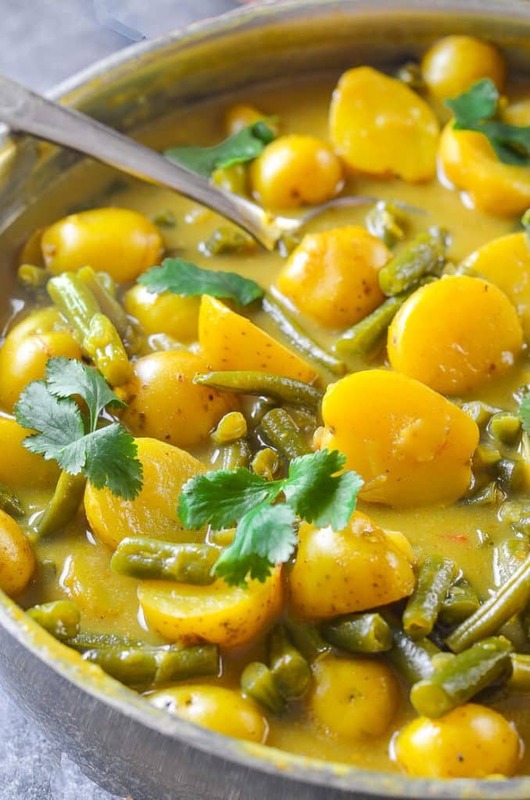 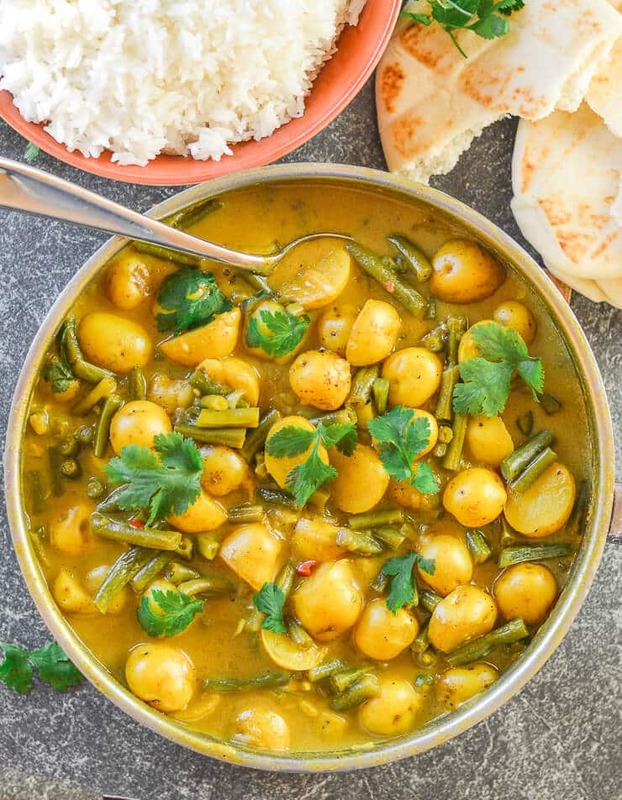 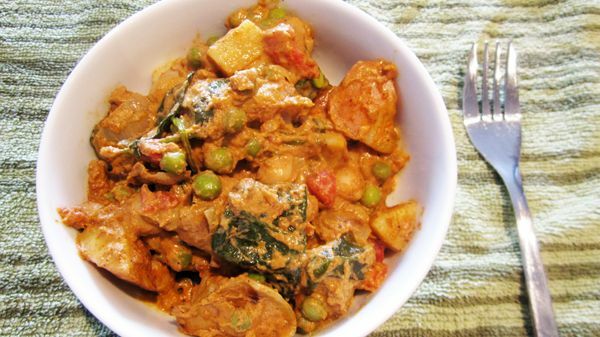 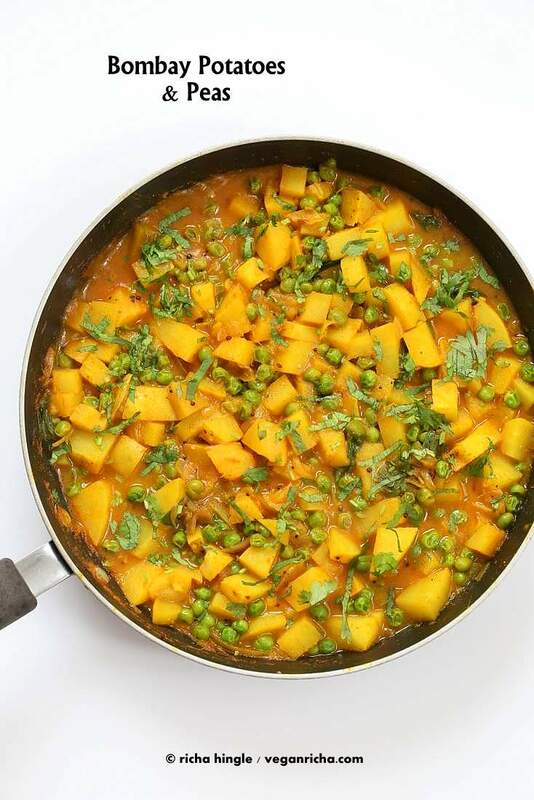 Potato Curry with Peas and Mushrooms: Perfect for Whole Baby Potatoes! 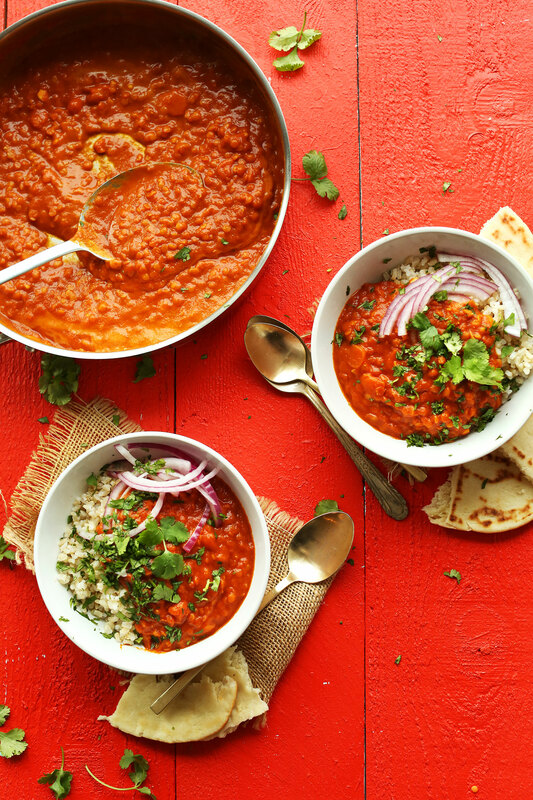 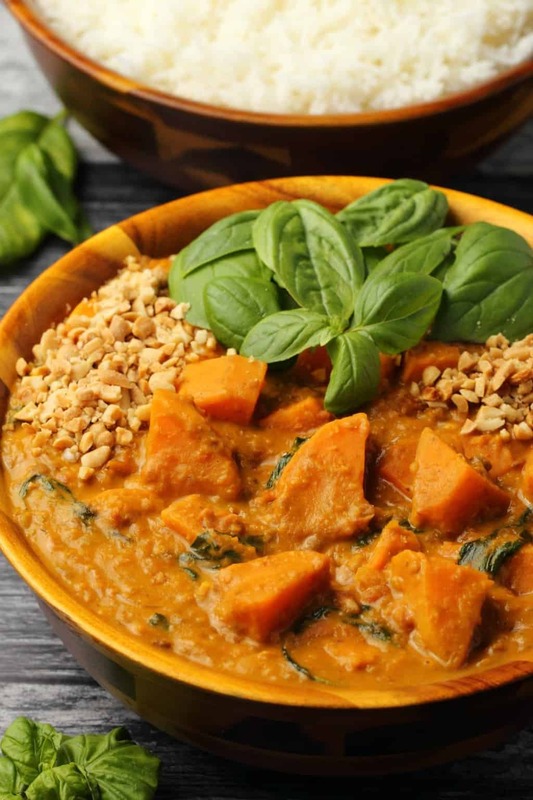 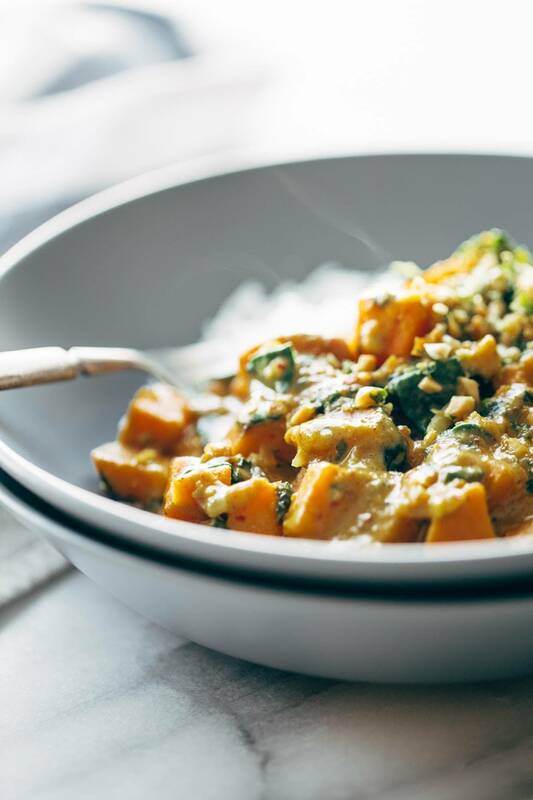 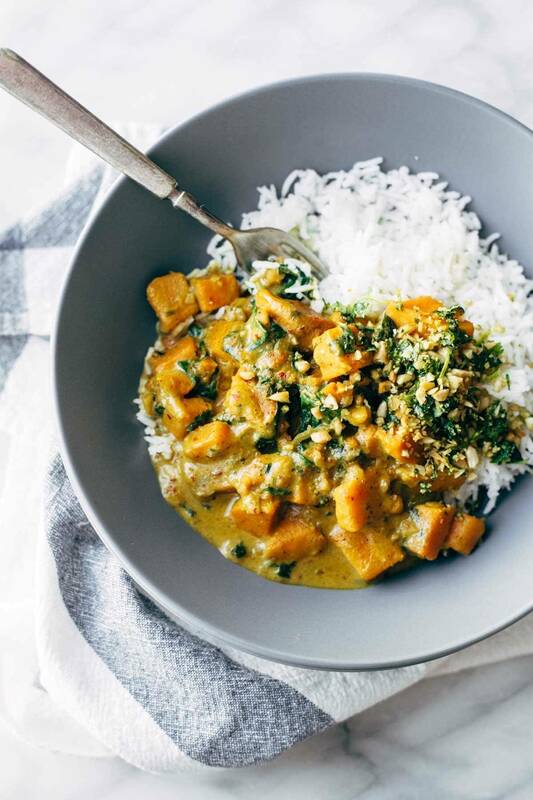 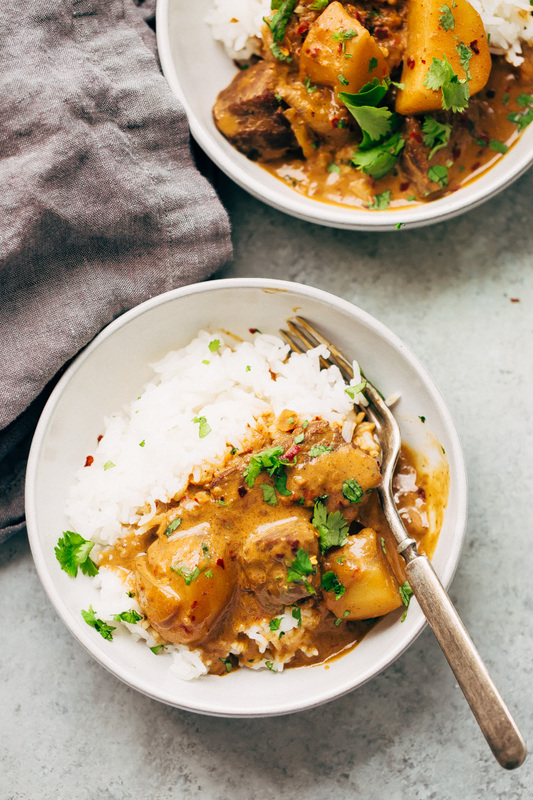 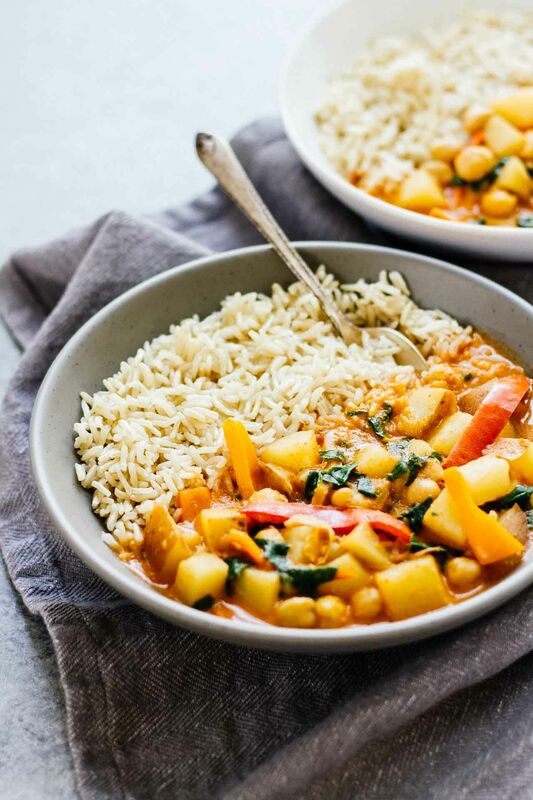 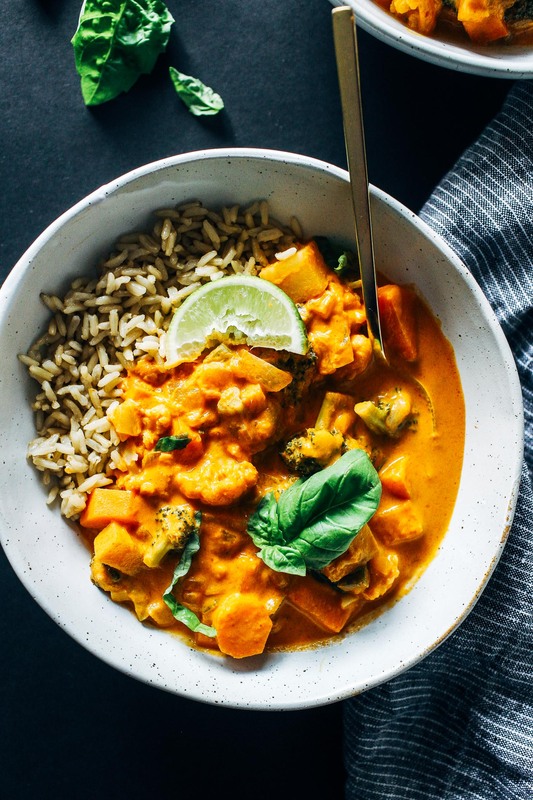 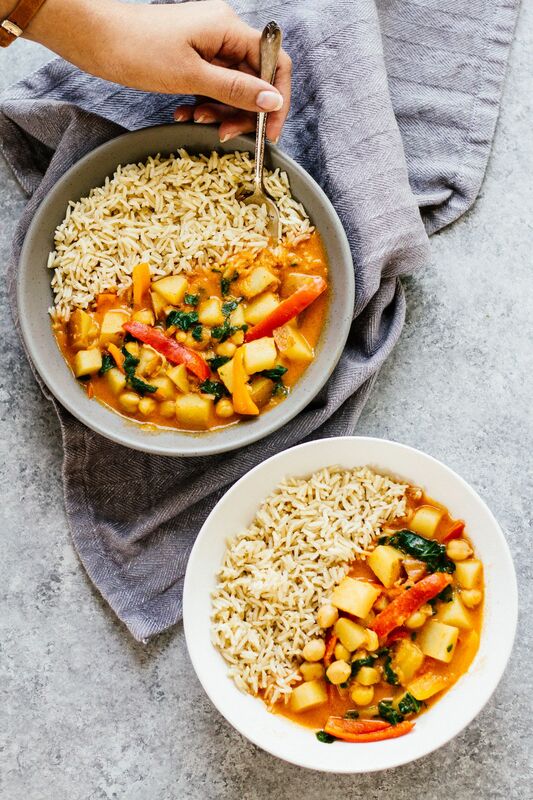 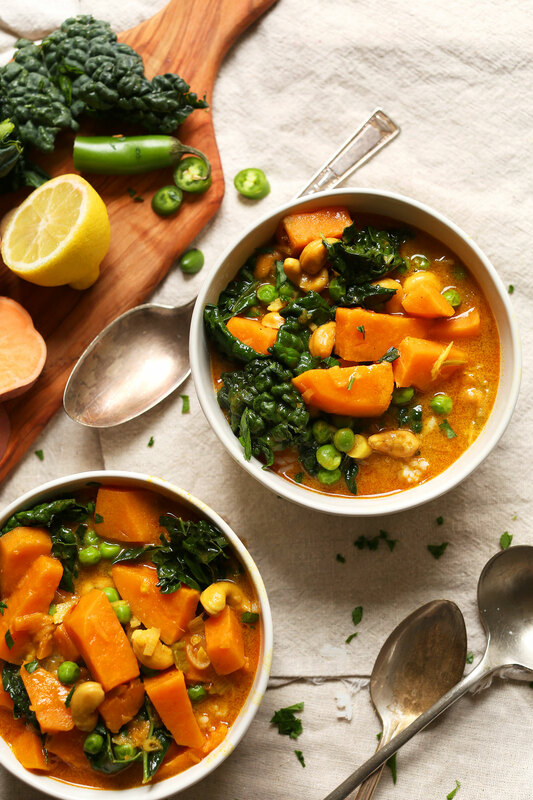 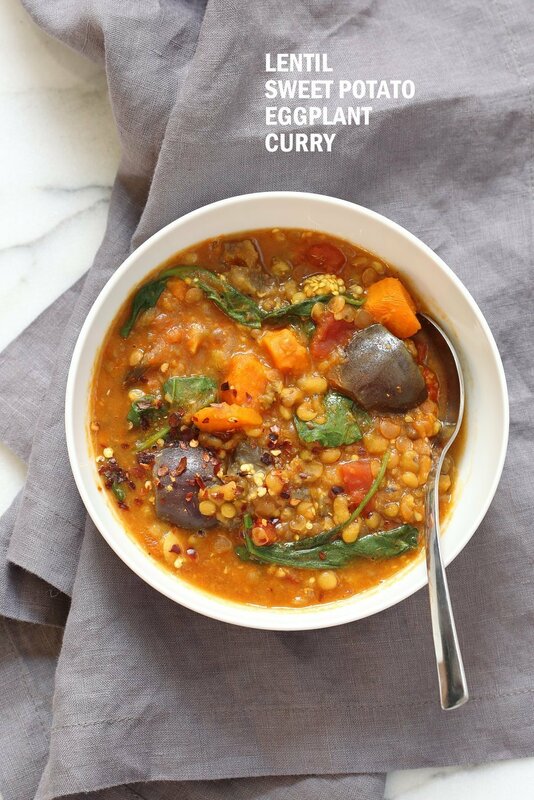 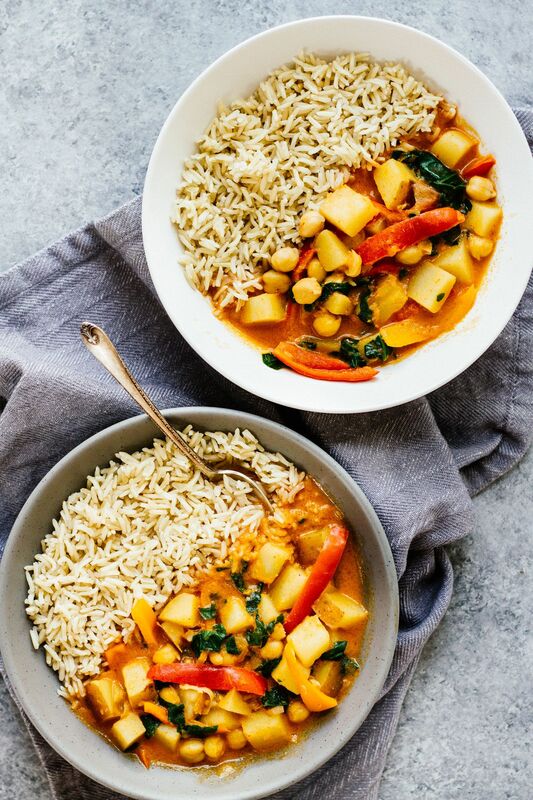 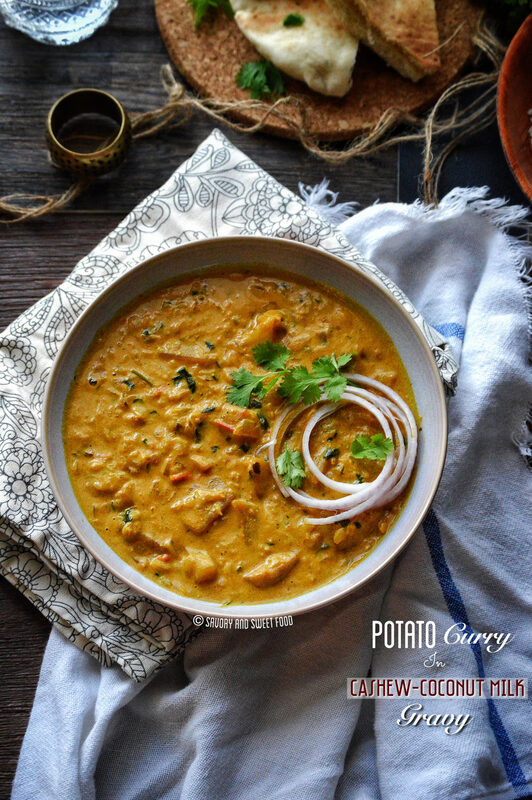 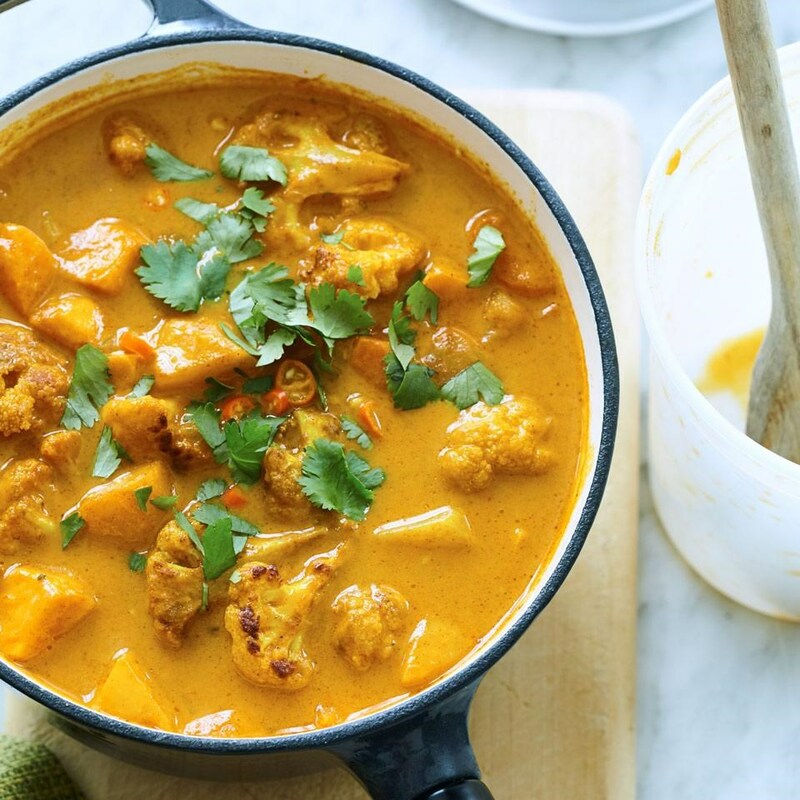 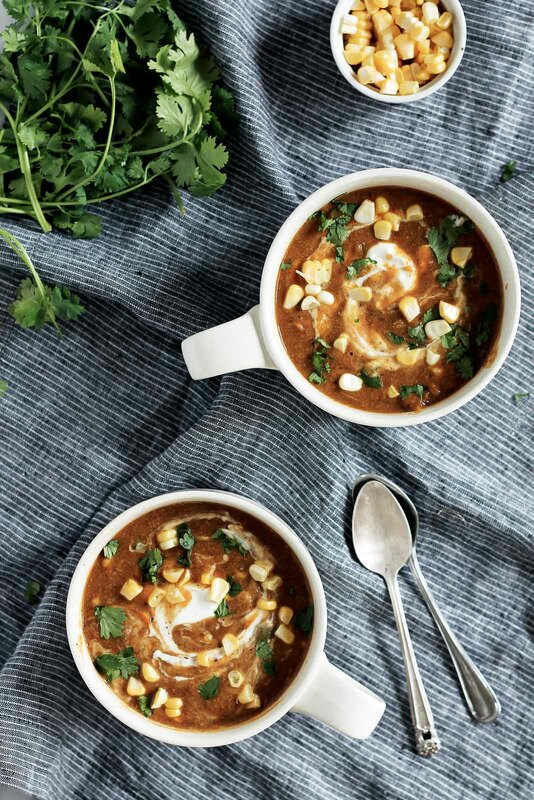 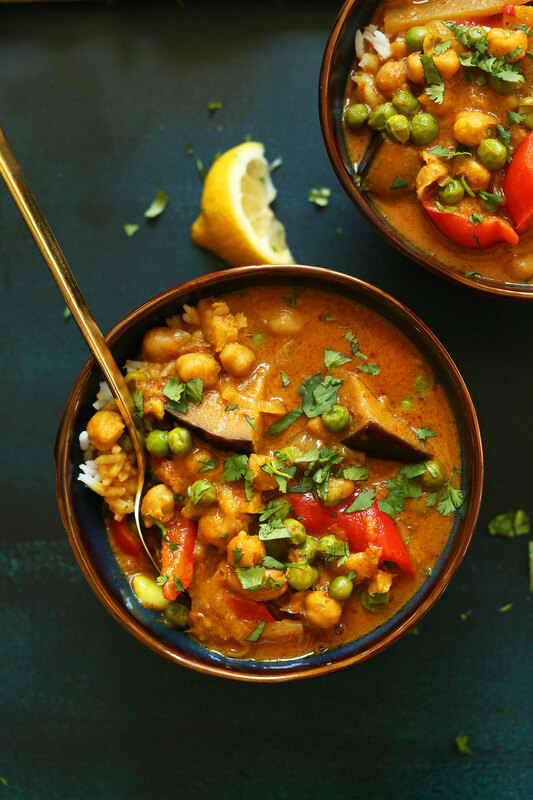 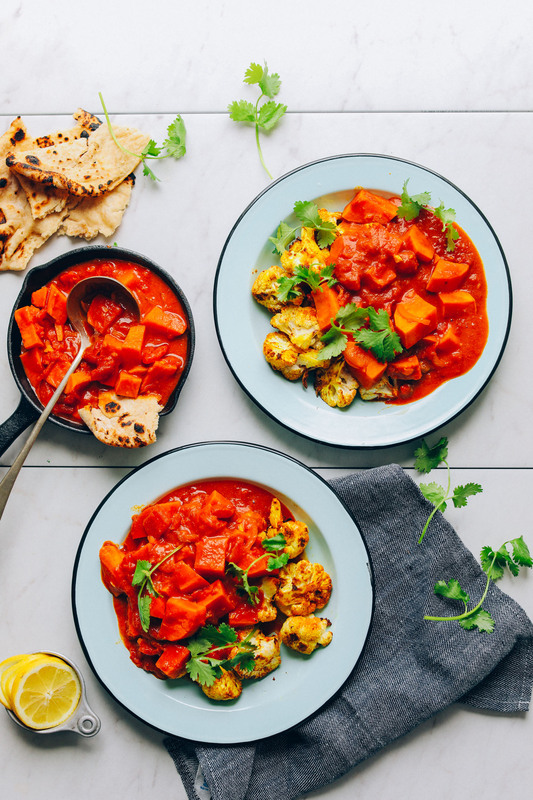 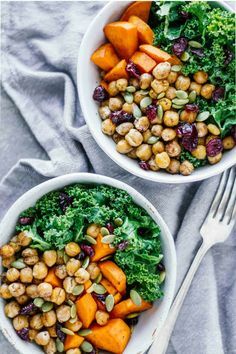 Creamy Thai Sweet Potato Curry in two bowls. 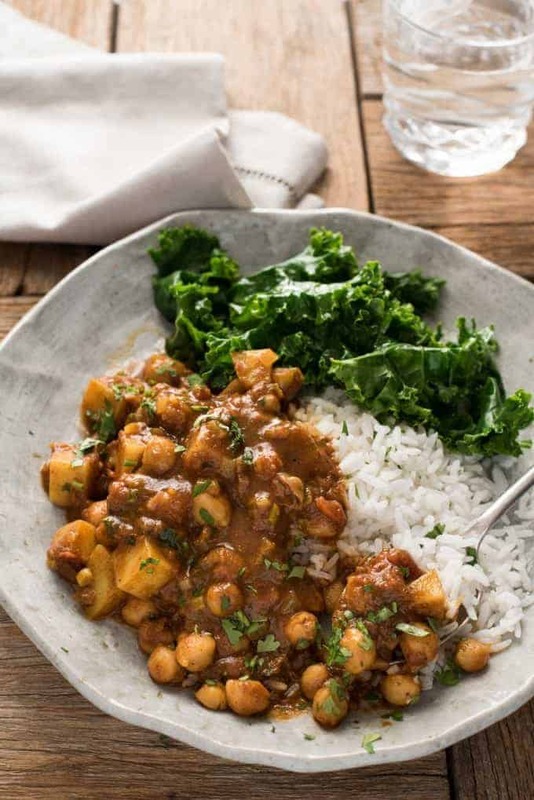 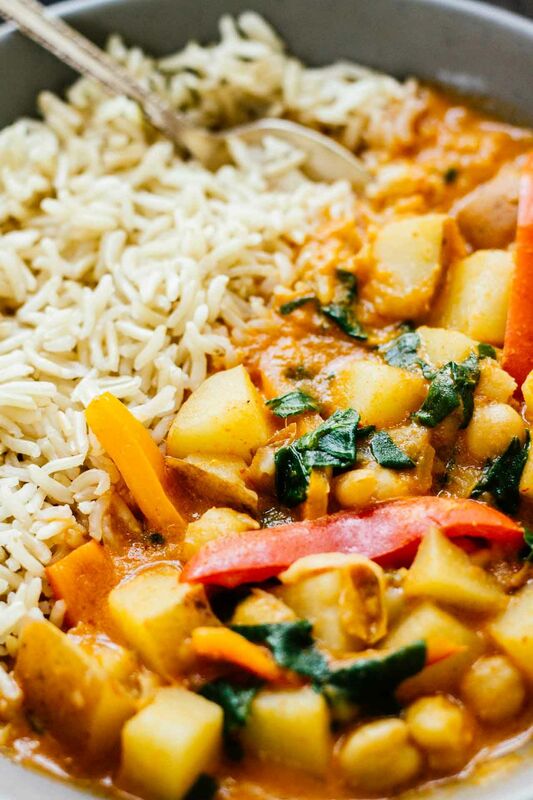 Overhead shot of a bowl Spicy Chickpea kale and Potato Curry with brown rice. 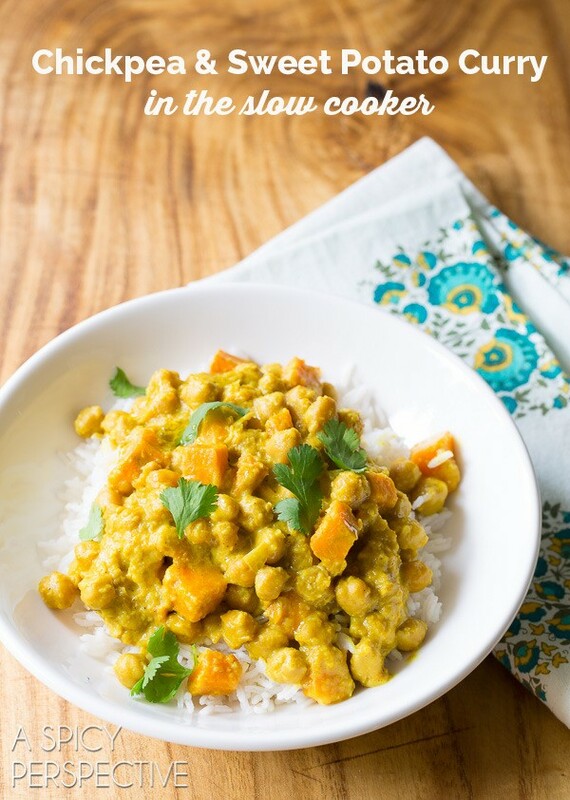 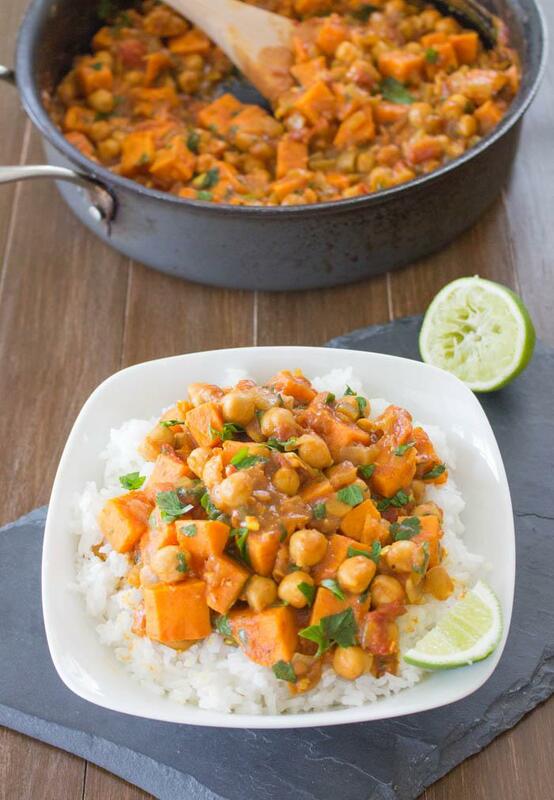 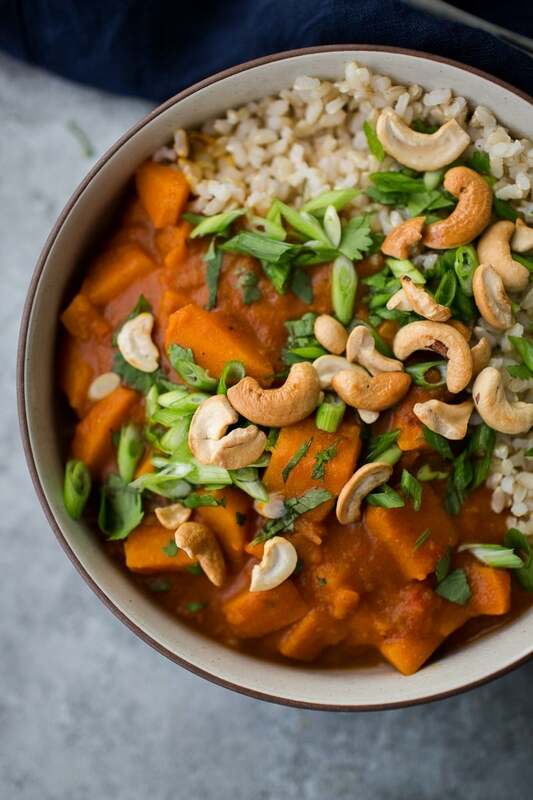 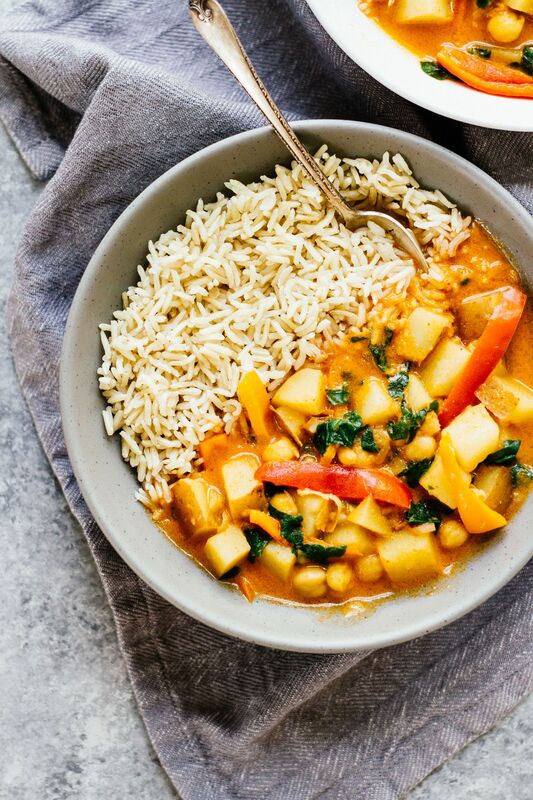 Creamy Thai Sweet Potato Curry in a bowl with rice. 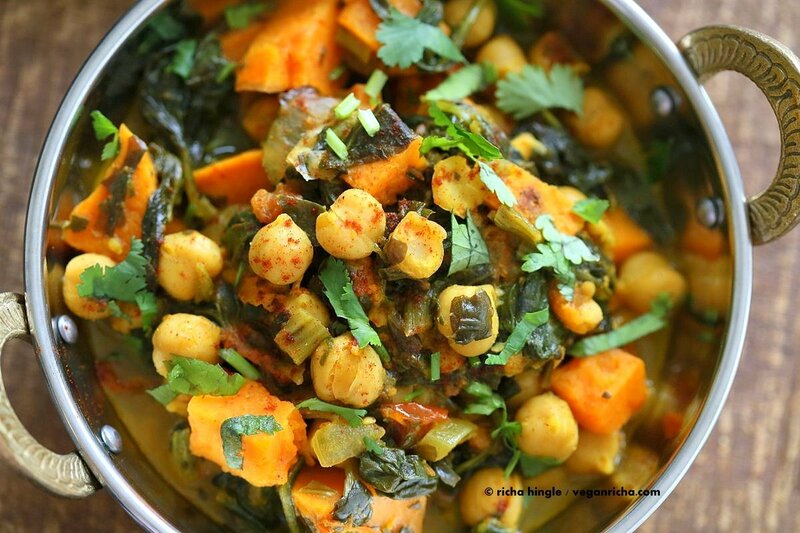 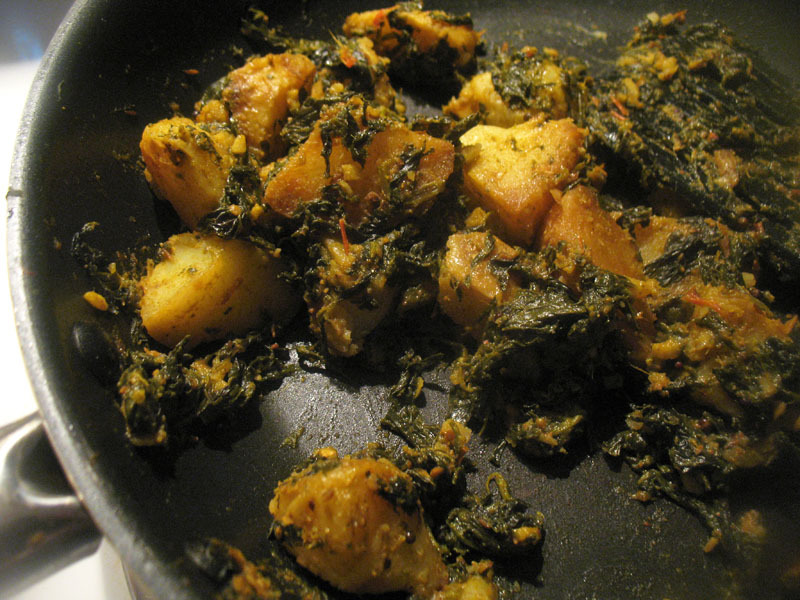 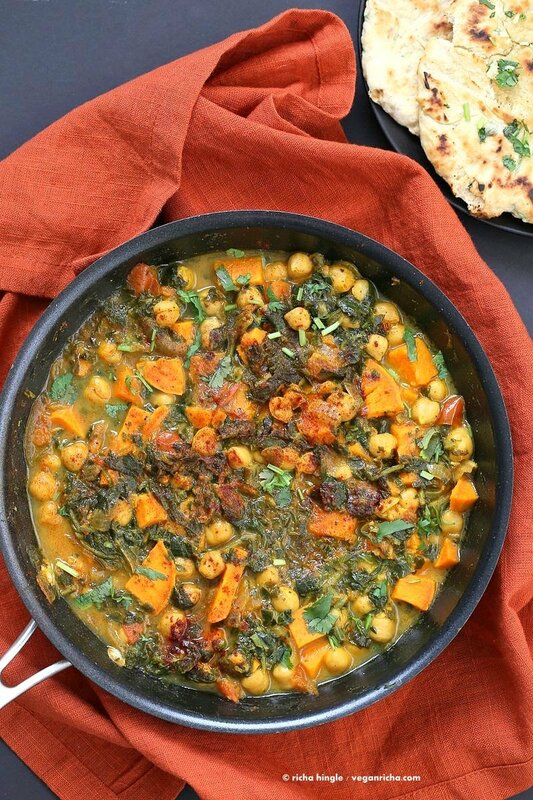 A side view of Spicy Chickpea Kale and Potato Curry in a large silver pot. 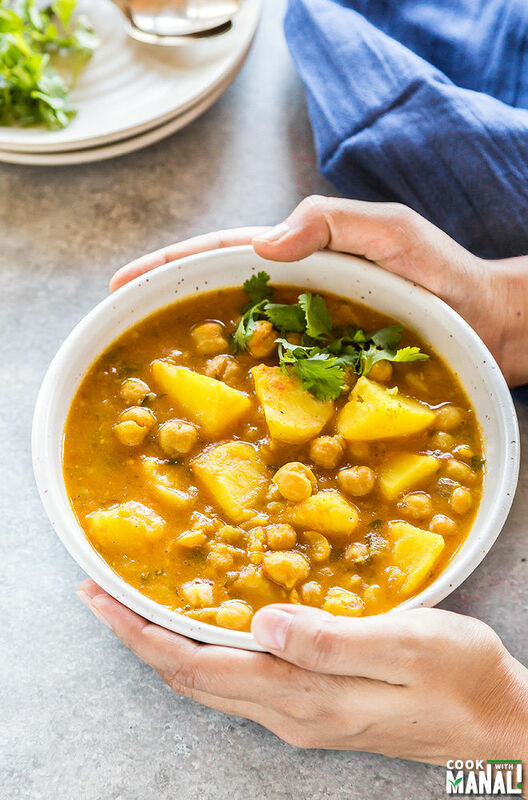 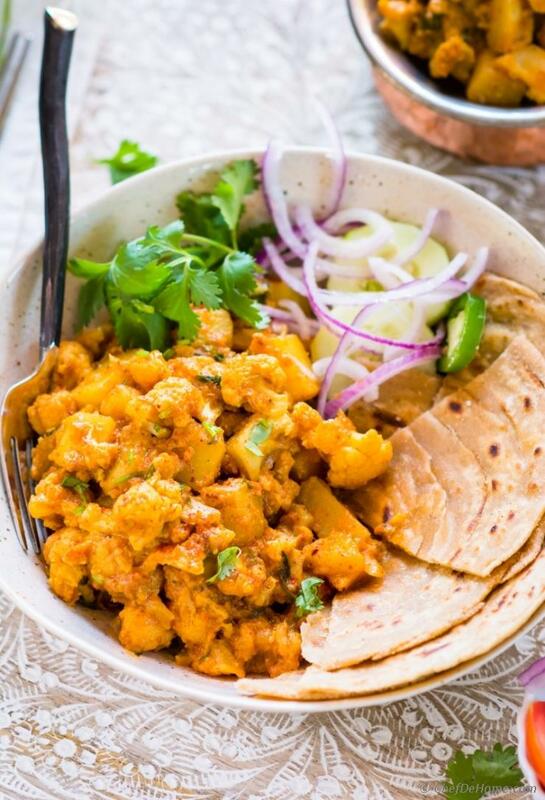 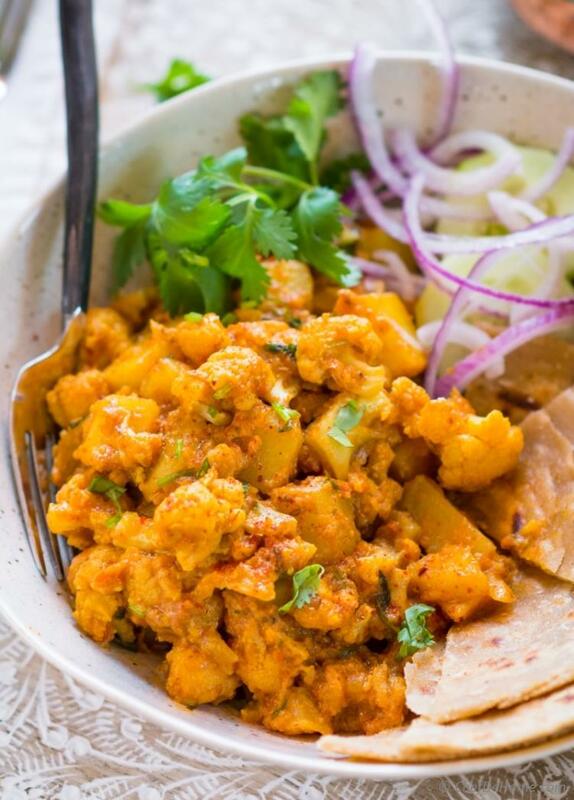 Vegan Potato Curry topped with chopped cilantro in a white bowl. 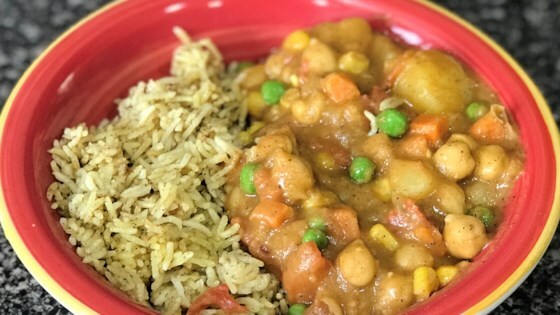 It is VEGAN and GLUTEN-FREE too. 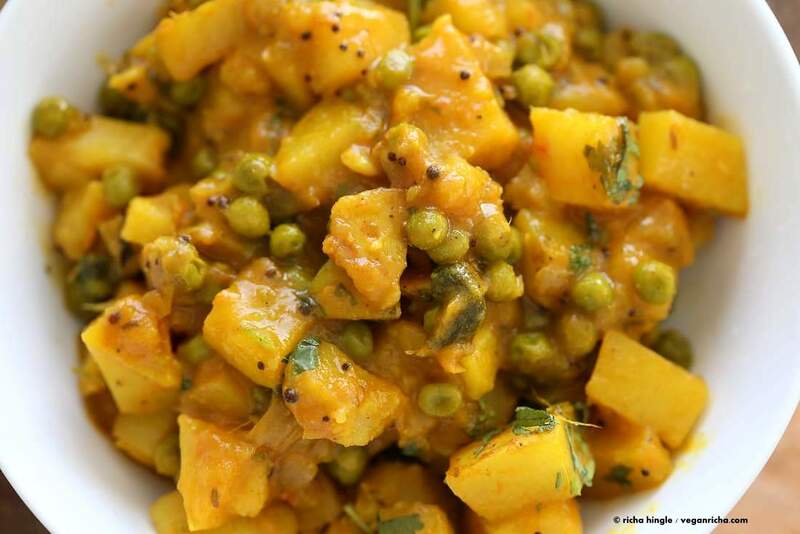 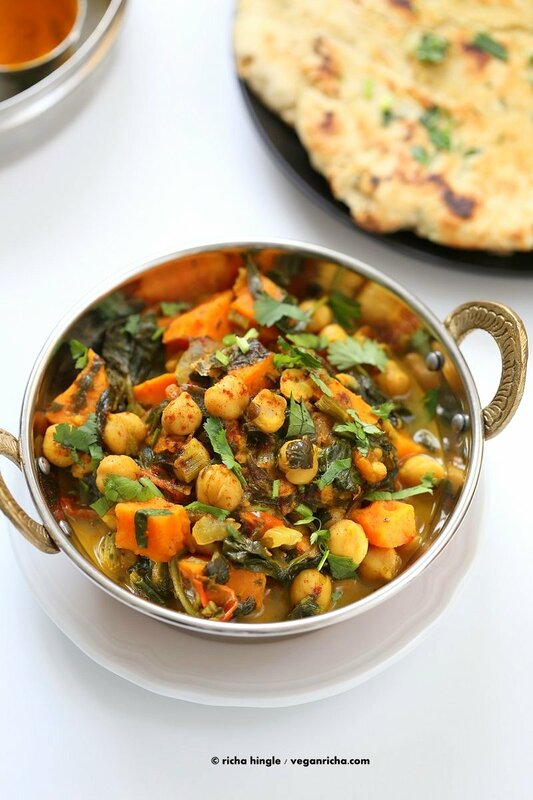 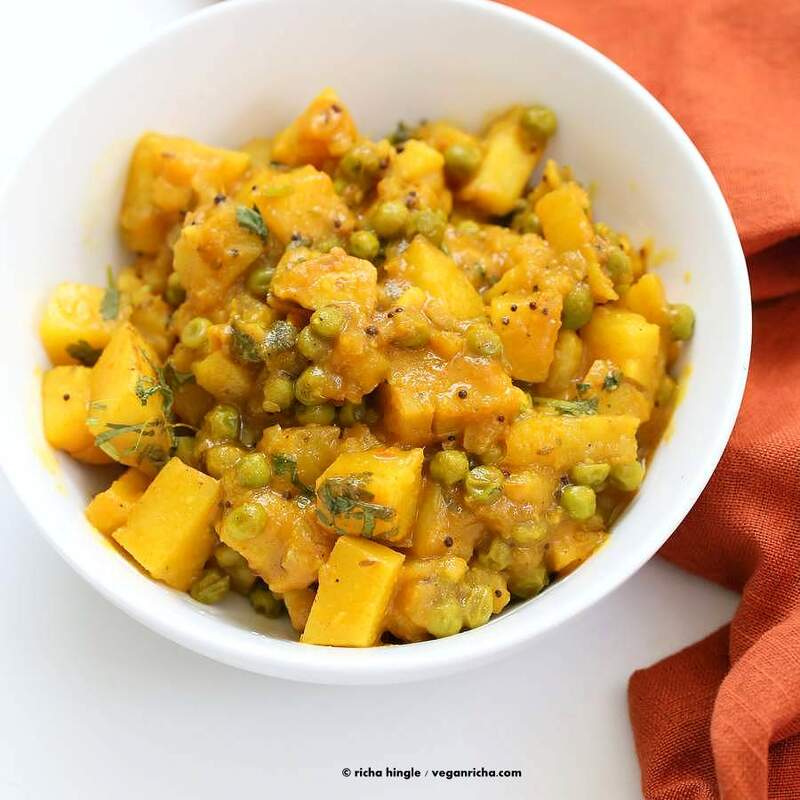 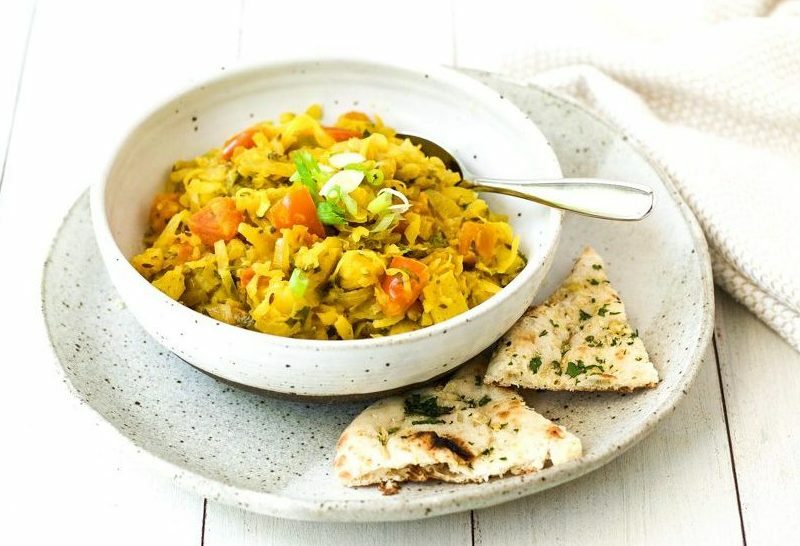 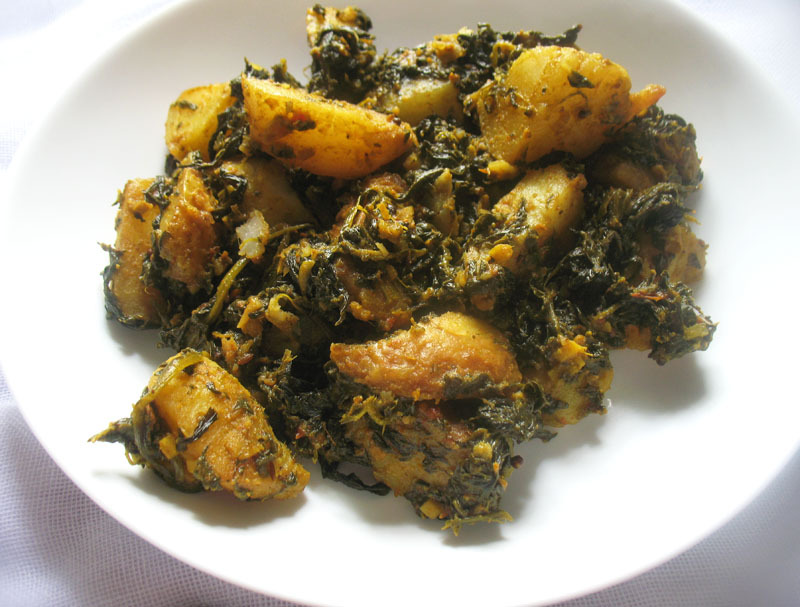 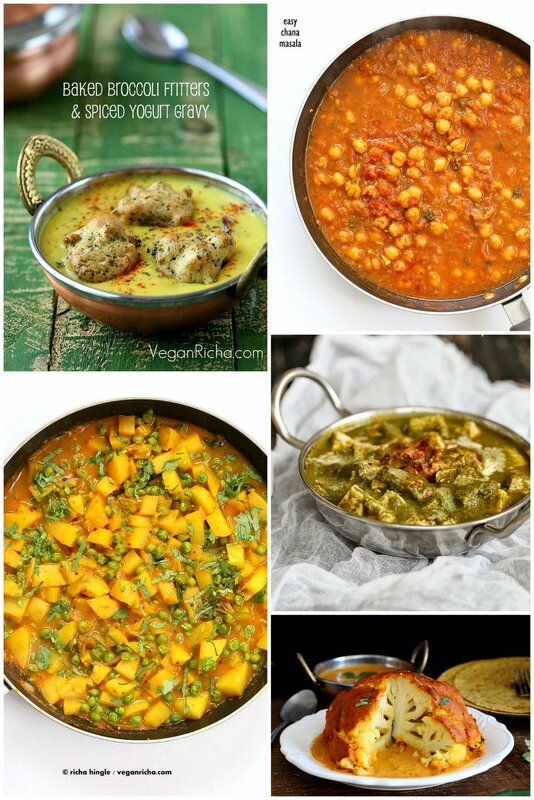 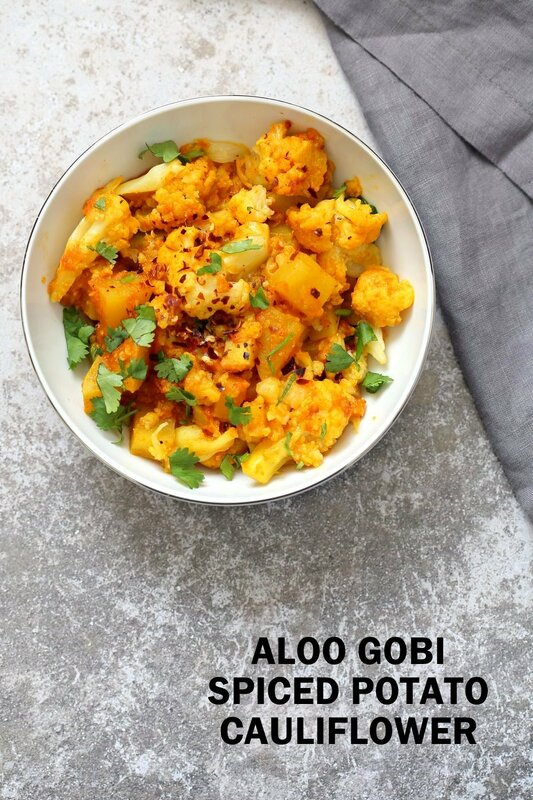 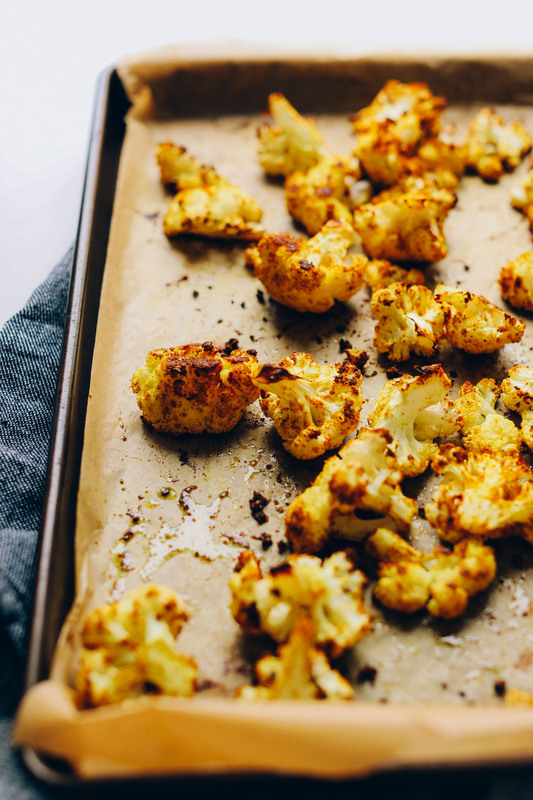 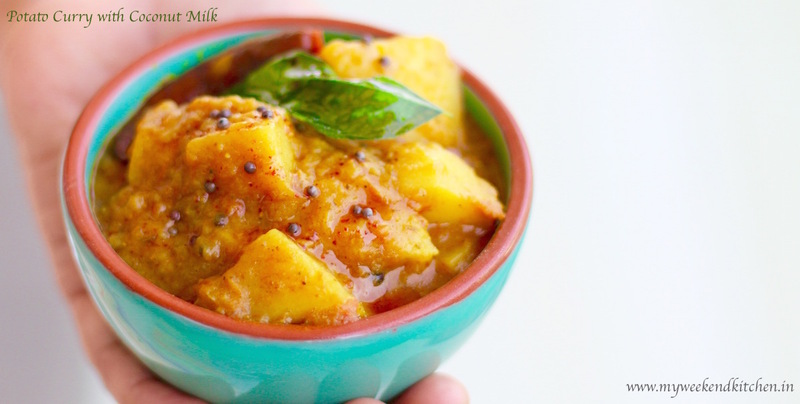 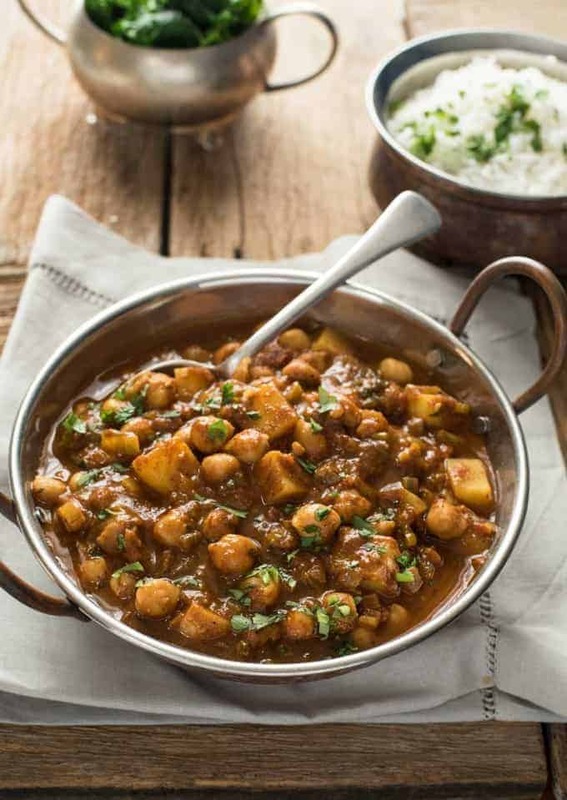 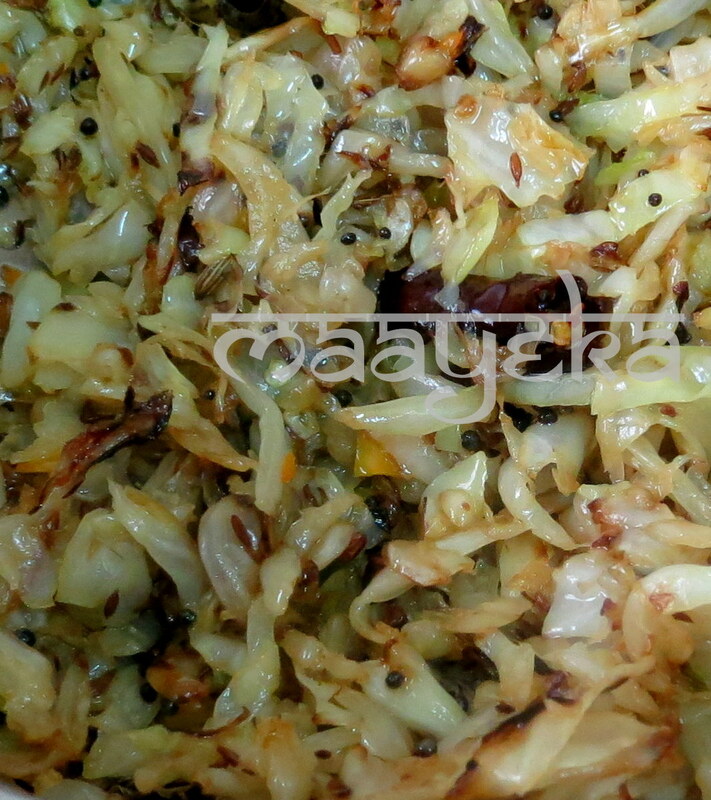 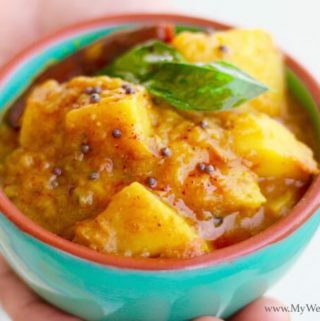 Pair it with a side of roti/ naan or steamed rice and you have a delicious meal on the table way under 30 minutes.